What’s New Year’s Eve without a sparkly cocktail? Although I know folks are firmly on either side of the fence about them. ‘Tis the season, I say. Just about everyone loves a little (or perhaps a lot, God love ’em) bubbly this time of year. 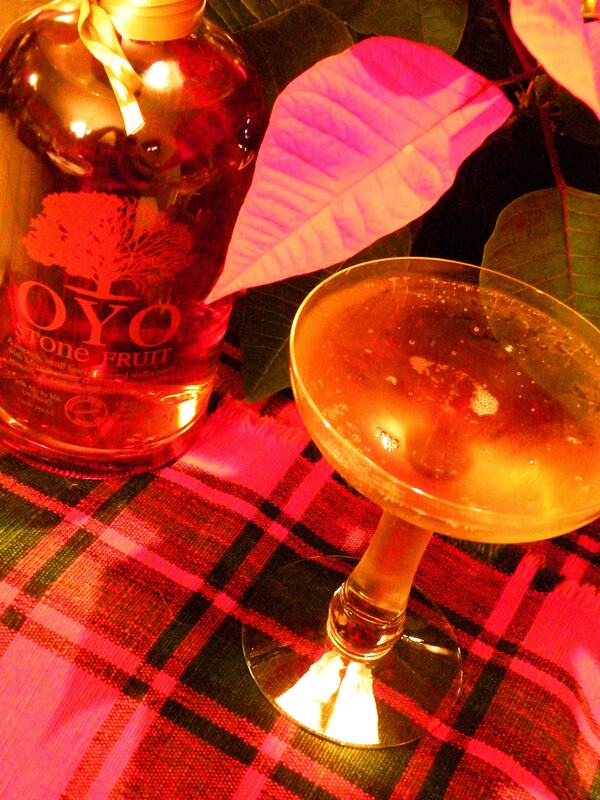 Give your glasses of sparkling wine, Cava, Prosecco, Asti, Crémant, Champagne (the choices really are almost endless, really), a little extra glee with a splash of Middle West Spirits‘ OYO Stone Fruit. This year’s seasonal vodka is kissed with sweetness from Montmorency cherries, peaches, apricots and loveliness. I think it pairs deliciously with an Asti (which deserves another look; it’s not what it used to be) and is perhaps even better garnished with a homemade maraschino. In a champagne saucer or flute, combine the vodka, bitters and top with the sparkling wine. Imbibe. Playlist included Shampain, by Marina and the Diamonds.